A while ago I did a post on musicals that were eligible for Tony nomination. A few weeks ago the actual nominations came out, and today we're going to take a look at the nominees for Best Musical! Bright Star is a musical taking place in North Carolina. Two plotlines revolve throughout the story. One involves a young aspiring writer and the literary magazine editor he hopes will publish his story, the other shows the editor as a young girl and her various struggles. The music is heavily influenced by bluegrass. Actress Carmen Cusack was also nominated for Best Actress for her portrayal of the editor. If you haven't heard about Hamilton by now I'd be surprised. Telling the story of founding father Alexander Hamilton with music of various styles, including rap and hip-hop, with a few ballad numbers for the theatre purists? It's no wonder this show has broken the record with sixteen Tony nominations. Many fans are expecting a sweep but I'm keeping my eye on the underdogs. We'll see what happens. Based on the film of the same name, School of Rock is an obviously rock influenced musical about a slothful man who turns a group of school children into a band. Along with a best musical nomination, the lead actor, Alex Brightman, was also nominated for best actor. I'm unfamiliar with this one, though it was nominated for ten awards. Shuffle Along is actually about the creation of a real revue called Shuffle Along that took place in 1921. You could say it is the story of a show within a show. It stars Audra McDonald and Brian Stokes Mitchell, both from the original cast of Ragtime, so I can see why it could be popular. Keep an eye on this one. Another one that's been picking up in popularity recently is Waitress, a musical based on a film of the same title. Waitress follows a pregnant woman in an unhappy marriage who has to find her way. I've heard great things about this one, though I still need to give the recently released cast album a listen. The actress playing the titular waitress, Jessie Mueller, was also nominated for Best Actress. The show also garnered some other nominations. So there you have it. 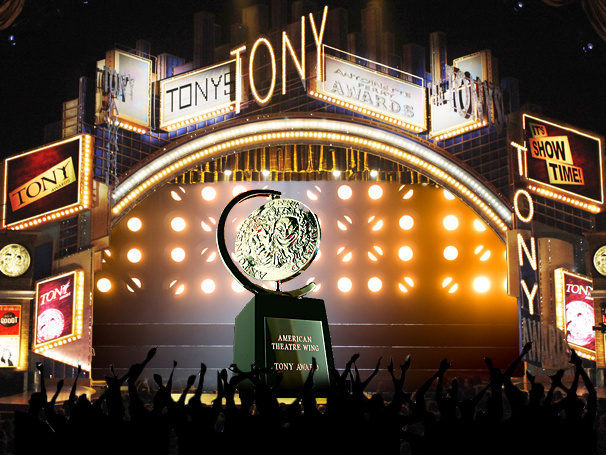 The Tony Awards air on June 12. Are you planning on watching? Which of these musicals appeals to you the most?